Intel changed the thickness of the substrate for its Skylake (6th generation) Core processors. 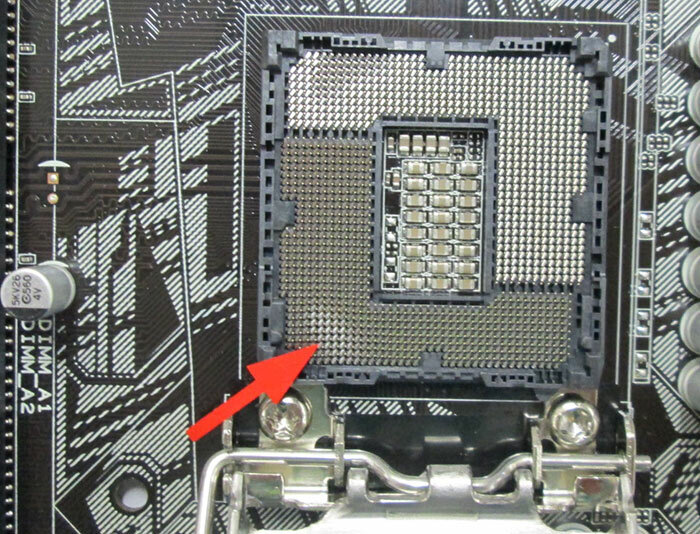 However the thinner, less rigid structure could lead to many well known coolers damaging the chip and/or the motherboard, says a report by PC Games Hardware in Germany. The report says that due to the chip's weaker supporting structure, the pressure exerted by a number of well known coolers is simply too much and is causing components to bend. The mechanically weaker CPU, its pins, and the motherboard contacts can all be bent and sheared by the pressure exerted by cooler clamping mechanisms. Even if that doesn't happen straight away, as you system sits on its desk, the moving of the system anywhere, if it receives any knocks or bumps in transit, could result in the structural ill-effects. ARCTIC: "We want to assure with this official statement that ARCTIC cooler not affected by these problems - and thus are fully Skylake compatible". The company said it adhered to Intel's mechanical specification. EK Water Blocks: "While current water cooler of EKWB are fully Skylake-compatible, the manufacturer advises caution with older coolers," noted PCGamesHardware.de. Noctua: "Our SecuFirm2 mounting systems are subjected to prior to the release of new platforms an extensive compatibility testing" said Noctura. No problems have been reported to Noctura by customers or re-sellers etc. Scythe: This well known cooler company admitted that while "All coolers are in fact generally compatible with Skylake sockets… in some cases result in damage to CPU and motherboard when the PC is exposed to stronger shocks (eg shipping or relocation)." Thermaltake: "All current CPU cooler from Thermaltake, as the Frio Silent series, as well as older models such as the NIC series, the Contac series and the Frio series, and compact water cooling of the types Water 2.0 and Water 3.0, are 100% compatible with socket 1151 processors." Thermalright: "The pressure is pre-defined and accurately based on the specifications of the CPU manufacturer," said this company. There are no reports of Thermalright cooler induced problems so far. The feedback from various cooler makers is augmented by Tom's Hardware, which has garnered statements from NZXT and Intel but says that Cooler Master and Corsair are yet to respond. NZXT: said its "Kraken Series closed loop liquid coolers are fully compliant with Intel's socket 1151 mechanical force specification". It recommended against using older larger tower coolers like the Havik 120/140 due to force and weight considerations. Intel: said that it has only been made aware of the issue in the last two days and it is therefore investigating what "could be several variables at play". Intel confirmed that Skylake uses a thinner substrate but it is rated for the same 50lb. maximum static load as prior generations. Scythe appears to be the only major cooling company affected in reports so far. However it already has a free solution in place for customers who want to prevent the chance of processor and motherboard damage. Owners of the Ashura, Mugen 4, Mugen 4 PCGH-Edition, Fuma, Ninja 4, Grand Kama Cross 3, Mugen Max and Kotetsucan request a free replacement screw set. They say that, but the evidence is suggesting otherwise.. So aftermarket chavy badly designed bling heatinks are causing problems. Who would have thought it.